We are in Luke, chapter 19 this morning. Our Scripture begins in verse 41, but let’s set the scene at the beginning of chapter 19. Jesus enters Jericho and says He made His way through the town. There was a man named Zacchaeus, and we remember from Sunday School, Zacchaeus is the little guy, right, who hid in the tree or something like that? Well, Zacchaeus was a tax collector. We know how people feel about tax collectors, right, we just talked about that. But not only was Zacchaeus a tax collector, he was chief tax collector. So he was not a very popular person in Jericho. But it’s a great story, because at the end of the story, Zacchaeus confesses his sin, asks Christ for forgiveness, gets forgiven and is born again. His whole life is changed in that story. So it’s an awesome story as Jesus enters Jericho. After that, he tells a parable of ten servants, and then after that in verse 28, it says, After telling this story, Jesus went on toward Jerusalem, walking ahead of his disciples. As he came to the towns of Bethphage and Bethany on the Mount of Olives, he sent two disciples ahead. “Go into that village over there,” he told them. And then here’s the part of the story many of us are familiar with: “As you enter it, you will see a young donkey tied there that no one has ever ridden. Untie it and bring it here. If anyone asks, ‘Why are you untying that colt?’ just say, ‘The Lord needs it. '” And if we continue to read we discover that everything happened just as Jesus said it would. They found the donkey, they asked the guy to take it, the guy let them take it, they put Jesus on it and he began riding on the donkey toward Jerusalem. 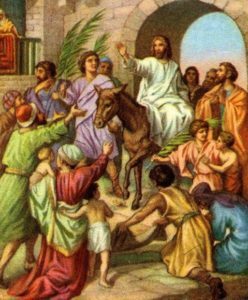 People were yelling and screaming, “Blessings on the one who comes in the name of the Lord!” They were putting down their garments on the ground so the donkey could step on their garments and not have to step on the road. This happened beginning in Bethany. Bethany is about two miles outside of Jerusalem. So that’s how long the crowds were lining the streets. That’s how far out from Jerusalem they were yelling and screaming “Hosanna!” and asking and praising God for sending their king. Two miles. Well, Jesus isn’t quite to Jerusalem yet when we get to our reading in verse 41. But as he comes closer to Jerusalem, and saw the city ahead, he began to weep. That’s an odd reaction! Why would Jesus weep? Today is a day of celebration, right? People are welcoming the King of Kings and the Lord of Lords! So why would Jesus cry? Maybe He was overjoyed? Have you ever cried tears of joy? I still do every once in a while, a particular movie that you’re watching ends just like you wanted it to. Or even a very good television commercial every once in a while can get me in my chair going *sniff sniff* I hope my wife’s not looking! So I’ve cried tears of joy. I mean, think about it. He had been preaching and teaching for three years now. And it seems as though it’s paying off! Shouldn’t he be happy? I mean, they’re welcoming him as their King! They’re waving their palms! They’re laying their garments down on the ground! They are finally getting it! Right? Why weep? Are they getting it? Do they fully understand? There’s that story about the pastor that I’m sure you’ve all heard, that was really concerned that his children in his church didn’t know what Easter was about. So he goes into the fourth grade classroom and asks a little girl by the name of Suzie, “Suzie, when is Easter and what happens on that day?” And Suzie says, “Well, Easter’s in the fall and that’s when we dress up in costumes and go trick or treating!” The pastor says to himself, “Oh no, we got a problem.” So then he went over to another child named Jimmy and asked him the same question. He says, “Jimmy, when is Easter and what happens on that day?” Jimmy says, “Well, Easter is in the winter, and we put up a tree and we decorate it and we get lots of presents!” Then he said, “why are you asking me, you’re the pastor, you should know when Easter is!” Well now the pastor’s really worried. He says to himself, “you know what, Bobby is a pretty sharp tack. So I’m gonna go to Bobby and if anybody knows what Easter is really about it’s going to be Bobby.” So he says a little prayer, walks over to Bobby and says, “Bobby, when is Easter and what happens on that day?” Bobby says, “Oh, that’s easy! Easter is in the spring, and that’s when Jesus came out of the grave!” Greatly relieved, the pastor says, “Yes! Thank you God! 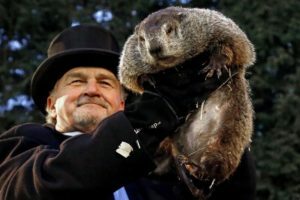 At least somebody gets it!” And as soon as he turns to leave, Bobby says, “Yeah, and if he sees his shadow he goes back in and it’s another six weeks of winter!” Close, but no cigar. Now I know, for many of you, that’s a tired old joke. But I love jokes that make you go, hmmm, and have a subtext to them. And to me, that joke does have kind of a subtext to it. See, Bobby knew about Easter, he knew the salient facts about Easter, but he did not fully grasp the meaning. We really can’t pick on Bobby, I mean, how many people do you figure celebrate Christmas, with the tree, and all that stuff, but they don’t think about the Christ child and what it has to do with their salvation at all. They spend zero time thinking about this is God becoming flesh, walking among us. No, they got the tree up, and they got the wreath, and they got the presents, and maybe they got a little Saint Nickolas figurine up on the mantlepiece, and they’re singing the songs! They’re even singing the songs, “Joy to the World! The Lord has come!” and not even paying attention to the words. Well, how about Easter? I would say that happens a lot on Easter too. We got the bunny. we got the eggs. We got the chocolates. We got the candy. But how many people don’t pay attention to an empty cross, an empty grave, a resurrected Lord? So let’s not be too hard on Bobby. There are lots of people like him in the 21st century and in the 1st. As he came closer to Jerusalem and saw the city ahead he began to weep. “How I wish today that all of you people would understand the way to peace. But now it is too late, and peace is hidden from your eyes. Before long your enemies will build ramparts against your walls and encircle you, and close in on you from every side. They will crush you into the ground, and your children with you. Your enemies will not leave a single stone in place because you did not accept your opportunity for salvation.” See, the Jewish leaders had rejected their king. They had refused God’s offer of salvation in Jesus Christ when they were visited by God himself in the flesh. And soon, their nation would pay for it. Jesus knew, Jesus knew what was ahead. He knew that this was going to take place and he knew it was because they rejected him. Jesus knew what was ahead for him. We know this, because he prayed in the Garden of Gethsemane, “Father, if you are willing, please, take this cup of suffering away from me.” He didn’t want to go through what was going to happen to him. Who would? But he continued to pray, “Yet, I want your will to be done, not mine.” Yes, Jesus knew about the whip. He knew about the cross. He was fully aware of the agony he was going to go through, and why it was necessary. It was the only way to pay for our sins. And if he did not do it, all of us would be separated from God forever. God loves his children, all of them, and he wants them to be with him for all eternity in Heaven, and this was the only way for that to happen. But Jesus was not weeping because of what was going to happen to him. Jesus was weeping because even though he knew he was going to go through it, he was going to accomplish what the father asked him to do, he also knew that so many people will walk away from the cross, not knowing, or not caring, about what happens there. They didn’t think that it mattered. And it does matter. A lot. Both in this world and the next. For instance, where do you think Stephen Hawking is right now? I can tell you where he’s not. He’s not in heaven with the Lord. Because he absolutely rejected that whole concept. This is why Jesus wept, Jesus weeps for him. Arguably the smartest man of our generation completely rejected what took place in AD 33 in Jerusalem on a hill called Golgotha. And because of that rejection, he will forever be separated from the Lord. It does matter. A lot. Both in this world and the next. See, we are impatient people, right? I know I am, I want stuff now! That’s why we have credit cards. Years ago when our grandparents were around or our great grandparents, everybody saved up and paid cash! There was no debt. We don’t do that anymore, cause we want it NOW! and MasterCard helps me get it now! Well there are some things in the relationship with the Lord that aren’t necessarily going to happen now, but they’re still a blessing. If you have a 401K and you’re saving for retirement, that’s not helping you out now! But it does give you some level of comfort knowing that when the day comes, you’ll be all set. And there’s peace in that. When we accept Christ as our Lord and Savior there are going to be blessings in this world, but there’s also going to be some comfort and peace knowing that what is to come is going to benefit us. God never, there’s no place in this entire book, where God tells us once you become a believer your life’s going to be all rainbows and puppy dogs from this point forth. In fact, I know, over the last few weeks listening to the prayer requests in this service that the exact opposite in many cases happens. Because this is a fallen world, Satan is the ruler of this world. You don’t think so? Look at this world! Does this look like God’s work? Paradise. The Garden of Eden. That was God’s work. This is our work. And if we think about it for a moment, if Satan is the ruler of this world and you stand up and you go, “I’m a follower of Jesus!” you’re now marked. He’s going to do everything he can. He’s going to throw everything and the kitchen sink at you to try and dissuade you from that decision. To pull you back from a relationship with Jesus Christ. So sometimes, when somebody becomes a believer, it actually gets a little bit tougher than it was. But there is peace in knowing what comes next. Even David knew this when he wrote Psalm 23. Most of us know Psalm 23 but there’s a line in Psalm 23 where he says, Yea, though I walk through the valley of the shadow of death, Thou art with me. Right? He is not specifically speaking literally that “yea, when it comes my time to die, God will be with me.” He is also saying, “yea, though I walk through the valley of the shadow of death,” meaning, there are going to be times in my life when the road is going to be really hard, it’s going to be a challenge, it’s going to be painful. But even during those times, the Lord is with me. His rod and his staff comfort me. Yes, sometimes life’s going to get hard. That’s why, remember, there’s only one set of footprints in the sand? So sometimes, life is going to get challenging, but Jesus also says, “Come to me all you who are weary and carry heavy burdens, and I will give you rest.” So there are blessings in this life. No doubt about it. It’s just not all puppy dogs and rainbows and cotton candy. In fact, Peter tells us, Give all your worries and cares to God, for he cares about you. So if you want to live a life of anxiety, and fear, and panic, and worry about what comes next, by all means, reject what took place on the cross. Ignore Jesus’ sacrifice. Some have, some do, some will. Jesus knows that. That’s why He weeps. But, if you want peace that passes all understanding, don’t just be like Bobby and spit out the facts because you have them memorized. Yes, it’s probably good to know what happened on Easter, when it happened, where it happened. But it’s most important to know why. It’s kind of like history. You guys know I’m a history buff. It’s important to know that this country fought a civil war. It’s important to know that there were two antagonists, you had the union in the north and you had the confederacy in the south. Perhaps its important to know that it happened between 1860 and 1865. Maybe it’s even important to know that 700,000 Americans lost their lives in that conflict. All of that information is neat, but it is useless unless you remember why. We fought that war because we did not believe that it was right or moral to own another human being. The why matters. Just sitting in these seats doesn’t do it. We have to repent of our sins, ask God for forgiveness, and if we do, he will! That’s the promise! If we repent of our sins, if we confess our sins to him and ask him to forgive us, our mercy and our grace has already been taken care of. But we have to repent. 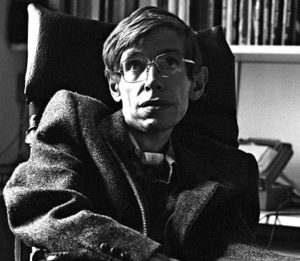 You can go to church for 75 years, if you have never repented of your sins and asked God for forgiveness, you are going to know Stephen Hawking later. You can introduce yourself to him. We have to repent of our sins and ask God for forgiveness. That’s why he came. That’s not when he came, that’s not where he came, that’s not how he came. That’s why he came. Now, if you have done that, then today is a day of celebration! If you have not, I don’t care if you’ve been coming here for 6 weeks or 60 years – today is the day of salvation for you. Please, do not wait another moment. At the end of our service today, Yessenia and Phil are going to be out back. If you need prayer, they’ll be there to pray with you. If today is the day you’re ready to make Jesus the Lord of your life, do it. Don’t wait another day. Make that confession. Let us celebrate with you. Because we know, now your future is assured. Just coming here doesn’t do it. Confess your sins to God, ask him for forgiveness. You will find salvation. Unfortunately, after that happens, you’ll never get to meet Stephen Hawking. But you will be able to rub elbows with Job. Job said, “But as for me, I know that my Redeemer lives, and he will stand upon the earth at last. And after my body has decayed yet in my body I will see God. I will see him for myself. Yes, I will see him with my own eyes. I am overwhelmed at the thought!” Job said this thousands of years before Jesus ever walked the earth, but he had faith in knowing that one day God was going to send us a Messiah, a Savior, who is going to save me from my sins. Looking forward he had faith, thousands of years ago. We look back. See, Job was looking forward to that, having absolute faith that it was going to happen. We look backward to that, having absolute faith that it did happen. And when we do accept that it did happen, we will get to meet Job in heaven. So I say to you again: If you have repented of your sins and have asked God for forgiveness and have accepted what Jesus Christ did on that cross, today is a day of celebration. Wave your palms. 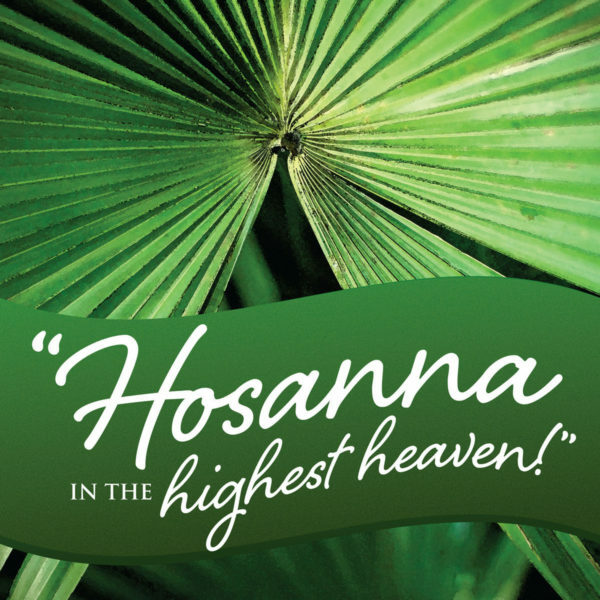 Shout “Hosanna! Christ is coming!” If you haven’t yet, don’t wait another day. See Yessenia and Phil at the end of the service. Pray with them and let us celebrate together blessings on the one who came in the name of the Lord.